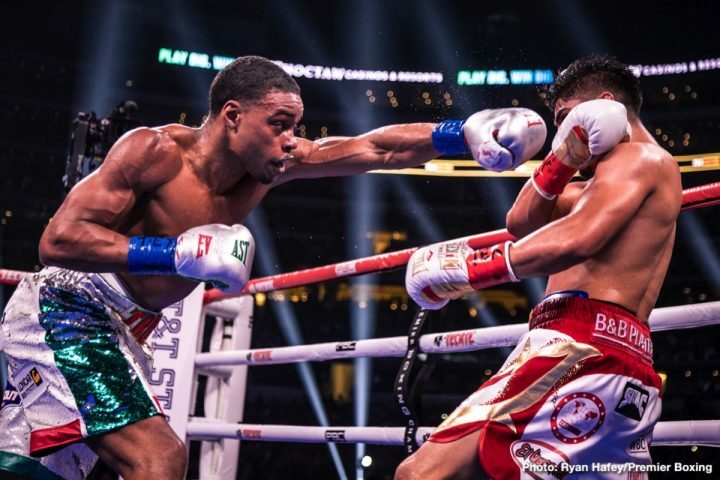 By Jermill Pennington: The showdown in Arlington Texas took place on Saturday night featuring IBF Welterweight champion Errol Spence Jr. (25-0) vs. Mikey Garcia (39-1) for the vacant WBC Diamond Belt. When the fight was first announced months ago the skeptics were out on this fight being an absolute mismatch. Many fans and pundits alike said Mikey was too small to go up two weight classes to fight a beast the likes of Errol Spence Jr. As the months went by and the fight drew closer, that opinion seemed to change.